Our DAHLC Worksite Wellness team is currently recruiting Wellness Champions, and we need your help. Wellness Champions play a vital role in supporting Mayo Clinic’s mission to promote lifestyle improvements that support good health and improve quality of life. If you would be a fantastic person or know someone who could be a great Wellness Champion, do something amazing and sign up for this awesome opportunity! Engage employees in their own workplaces—since they know their co-workers, Champions have the advantage in motivating their colleagues to achieve healthier lifestyles. Act as both champions of wellness and catalysts for change, providing opportunities for their co-workers to increase their energy level, enjoy more productive workdays and ultimately feel better about themselves. Can be any Mayo Clinic employee or volunteer who is interested in the current wellness programs, either through direct participation or their own basic personal health values. Future champions get started here. 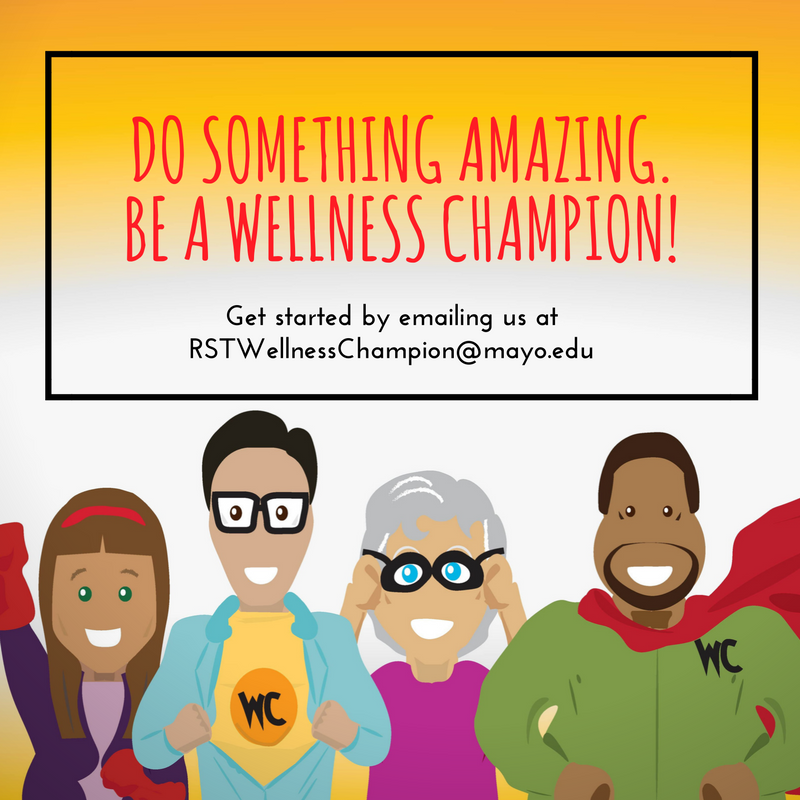 Please contact us at RSTWellnessChampion@mayo.edu. Let’s make Mayo Clinic a healthy and happy place to work for everybody!